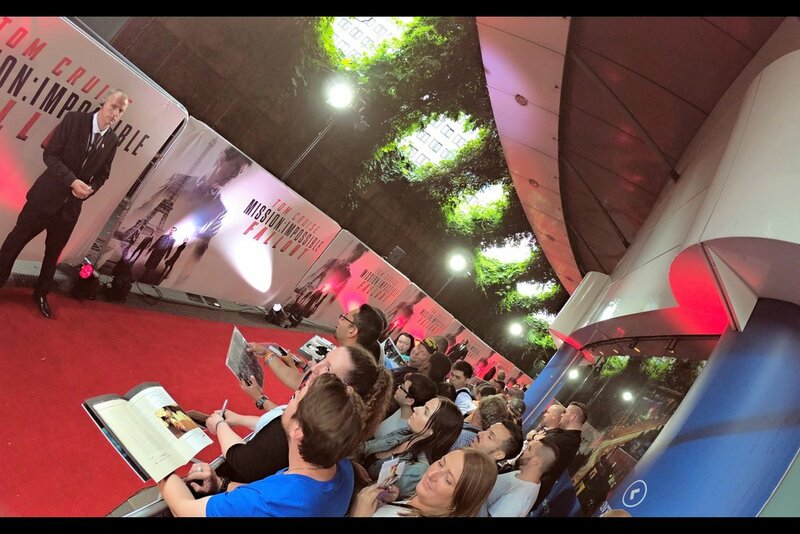 The last time I went to a premiere with an objective of "Autograph over Photograph" was probably back in 2012, where I wanted to get a photo I'd taken of Charlize Theron at the 'Hancock' premiere in 2008 signed at the world premiere of 'Prometheus'. That mission ended in success.... but not all of them do. So I made a few sacrifices, made a few promises, and had a little faith. And tried to forget that it was Friday 13th. So I've found my spot. It's in the second row, among a throng of fans and autograph dealers. 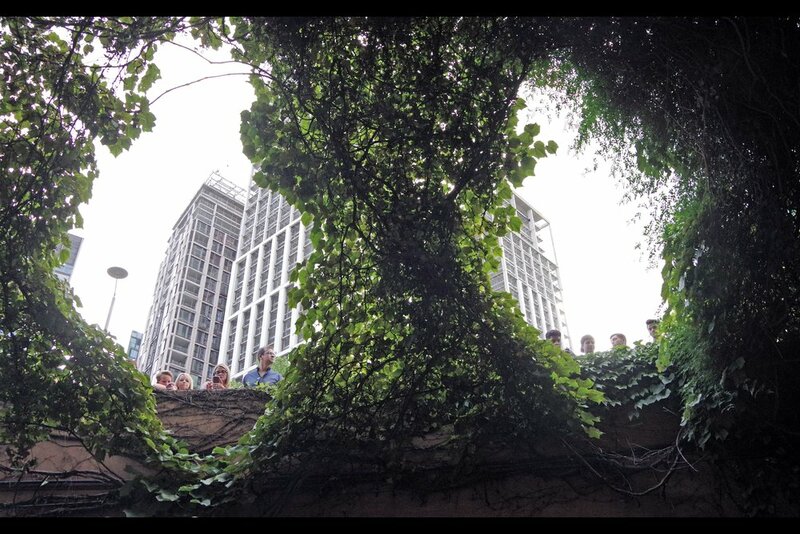 Up above, in the gaps through the foliage, is where I would typically be found, taking unobstructed photos and hoping that Security would allow it. 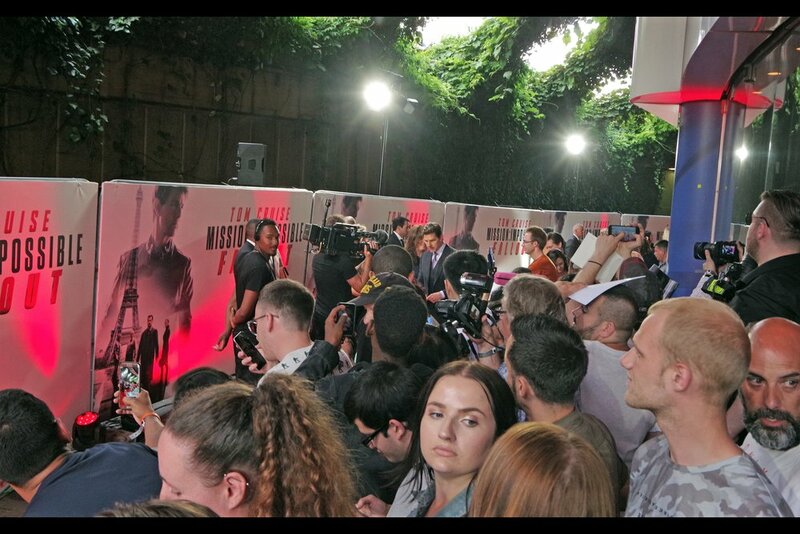 In contrast to the last premiere at BFI Imax ("A Wrinkle In Time"), where Security made various threats to people up there that it would be prudent not to reveal... this time they were much more chilled about it. 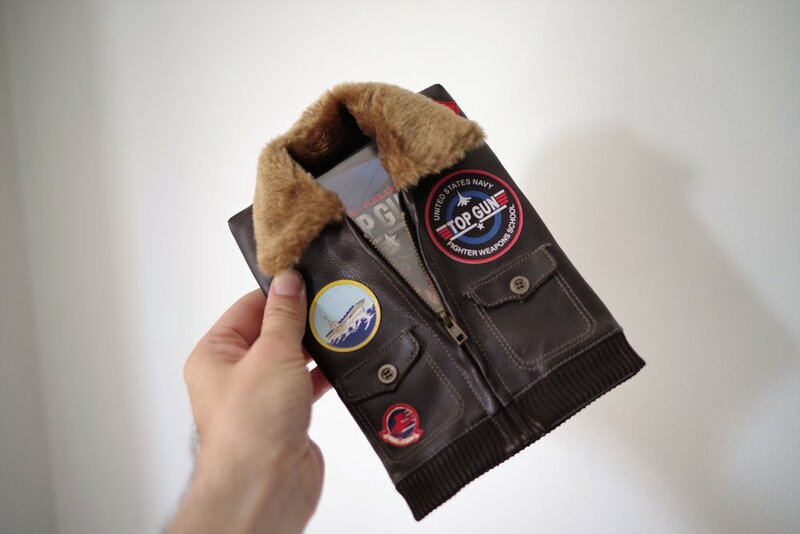 Meanwhile, back at the crowded (under)ground level, THIS is what I've brought to get signed : a DVD copy of the movie Top Gun, wrapped in its own Top Gun Leather Jacket. It's so awesome I was stunned to find it secondhand for about A Pound a few years ago, and bought it because if there's anyone who would sign it... it'd be Tom Cruise. Hopefully. "He's so much more handsome than you could ever comprehend!!" "I think he was talking about me... I can't be sure, and I'm certainly not going to ask" - your good friend and mine, Hakeem Mr Impact and his tame DJ "This Op Is Actually Fairly Likely" were the warmup act for this premiere. It's Tom Cruise! He's arrived probably twenty minutes before anyone else and after a quick interview, is off to start signing the inexhaustible amount of crap (and, in my case, awesome stuff) that dealers and fans have brought to have signed. We were told we'd get a maximum of one (1) item signed.... though of course we didn't have to be told that dealer scum would be barging into us from behind, blocking our items with theirs from above. They're simple folk, dealers are; and they only really have one strategy... and it continues to work. 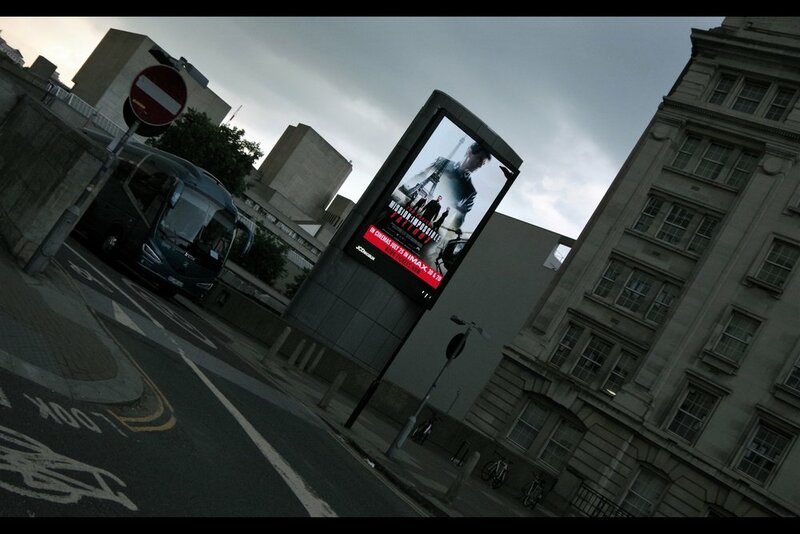 "Are you sure you wouldn't rather have Val Kilmer sign that? I still have his phone number somewhere...."
After having my DVD covered by dealers from behind, and even batted away by his security (!!?) on the right side, I've decided to project an air of optimism and try the left side... and my item seems to have caught Mr Cruise's interest! "I'll sign that. It's pretty cool".... and he did!! And once he'd signed in our area, the Dealer Scrum followed him all around the pen... leaving my area relatively empty, which was good as it meant I could immediately shift position to a spot more favourable for photographs. "Saw you with a GoPro moments ago.... it seems to have grown" - yeah, all the photos of Tom Cruise were taken on my little GoPro as I had no space to hold my item AND a large camera. But now my photography is back in the hands of the trusty Nikon. "Oh, wow! Fan art!" - Henry Cavill makes his Mission Impossible debut in this sixth installment. He's probably best known as the DC Universe's violent, brooding, and miserable Superman (I haven't seen 'Justice League' yet, though. Perhaps he's all awesome now). "THAT'S the fan art you're drawing now??" I have to say, I'm enjoying the photography options from where I'm standing. The only downside is that by being on the inside line of a circle, my medium- and long- range photography options are next to none. I'm basically going to get portrait shots without interruption from here on. Eh.... The upper lip still looks fake. "What's going on? And how can we become a part of it?" 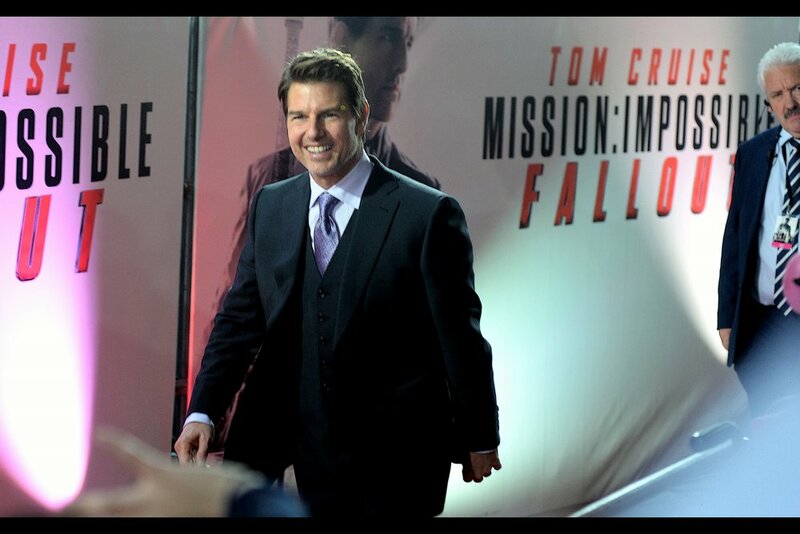 After pausing briefly for another interview, Tom Cruise RETURNS to do more signing! "I find it hard to believe you're Swedish. Mainly based on the soccer jersey you're wearing" Rebecca Ferguson was in (and excellent in) the previous Mission Impossible film - "Rogue Nation"
"But what if we entered into a profit-sharing agreement where you use your connections to get me more Tom Cruise autographs?" "Here's my phone number. As long as this guy's back isn't so sensitive that he can pick up what I'm writing by feel.... this should work" - Rebecca Ferguson was also recently in 'The Greatest Showman', 'The Snowman' and 'Life'.. but the only other time I've photographed her was at the premiere of "Florence Foster Jenkins" back in 2016. "Okay, one more. Keep in touch. Also, remember, I'm an actress and I might be using my skills to trick you into this whole scheme"
It's Simon Pegg! He's been in every Mission Impossible movie since the third one (III, Ghost Protocol, Rogue Nation, and now Fallout), as well as being famed for being Scotty in the Abramsverse Star Trek movies (2009, Into Darkness, and Beyond). His dinner jacket has the star sign Capricorn. Just remembered he still owes me five dollars. Just remembered he didn't bring those five dollars. Is unwilling to go further into debt to repay me those five dollars. "I don't know why she's so unhappy.... maybe a hug would help." Frederick Schmidt is in this movie, and is apparently best known for being in the movie "Brimstone (2016)" which I haven't seen but is actually in my Pile Of Unwatched DVDs. "I can read from this prepared statement I've brought with me, if you like. It says... many things. 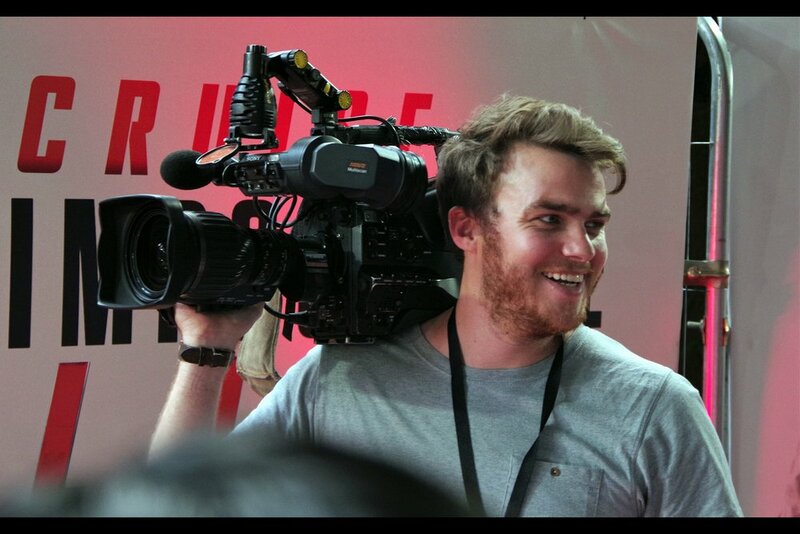 Several of them true" - Chris McQuarrie is so far the only returning director of the Mission Impossible franchise. Sadly, Vanessa Kirby (of 'The Crown' fame) arrived too late to sign in our area... but given the turning weather, and the fact that my train franchise continues to have the reliability and timetabling skills equivalent to a drunk newt given several millions of pounds annually (but being a newt not actually capable of running said franchise)... tis' probably just as well. So... that was that... and it was kind of good. 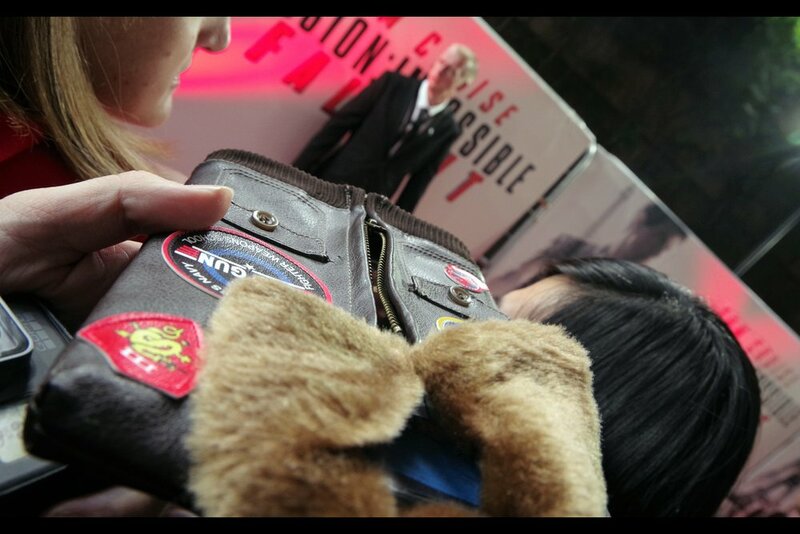 The photos are somewhat different (much more close-range), but the fact that I was able to take them was good... and that I got Mr Cruise to autograph my Mini Leather Jacket For Top Gun DVD gives me some happiness on top of getting the satisfaction of adding another premiere into The Archive Of Premieres. But if you do/don't care about that and just want to know when I post one of these journals (and/or rant about the borderline criminal bastards profiting from institutionalised incompetence on my train line) - feel free to follow me on facebook at premieresdotco, or on twitter at berndt2_photo. Or just reach out to tell me to chill, if you want.